D enplan Care is a payment plan designed to help you budget for your private dental care to help you maintain or improve your oral health. The plan also includes worldwide dental injury and dental emergency cover (Supplementary Insurance) and access to Denplan’s 24-Hour Worldwide Dental Emergency Helpline. The Helpline Advisors will be able to offer practical help and advice should you need it in a dental emergency wherever you are. Click on the links below to find out more about our payment plan. Denplan Care is a monthly payment plan which provides cover for your routine (check-ups, x-rays and hygiene visits) and restorative (crowns, bridges or fillings) dental treatment. The amount you pay is based on your oral health and how much dental treatment you will need. After an initial assessment you will be placed into one of five categories. This will determine the monthly fee. Both Denplan Care and Denplan Essentials include dental injury and dental emergency cover and mouth cancer cover (not immediately available). You will also have access to Denplan’s 24-Hour Worldwide Dental Emergency Helpline. "Dental decay is one of the most common chronic diseases in the world. It can have a huge effect on general overall health and yet it is entirely preventable, which is why it is so important that patients prioritise their oral health" Roger Matthews, Chief Dental Officer, Denplan. Preventive dentistry is the foundation on which Denplan was built. A dental payment plan enables you and your dentist to focus on regular care to help minimise the risk factors before they cause pain and may need costly treatment. We recommend that our patients follow a programme of preventive care using the skill of our practice team and the support of a dental payment plan. Your dentist will talk to you about the dental plans so that you can choose which one is right for you - Denplan Care or Denplan Essentials. 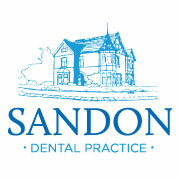 A dentist at our practice will then carry out a dental assessment. The amount you pay will be decided by your dentist and is based on your oral health and how much dental treatment you will need. The payment will be collected monthly by Denplan. Please note that there is a one-off registration charge which is equal to one month’s fee. The care contract is with your dentist and the Supplementary Insurance is with Denplan. If you would like to talk with one of Denplan's Customer Advisors please call them on 0800 401 402* - they will be happy to answer any questions you may have. *Lines are open from 8.30am to 5.30pm on Monday to Thursday and 8.30am to 4.30pm on Friday. For full details of the benefits and exclusions, terms and conditions please see the Denplan Handbook. Denplan for Children excludes Orthodontic treatment, cosmetic treatment & dental implants. 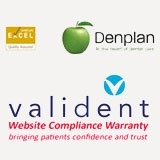 Our practice takes part in the Denplan Practice Quality Programme which demonstrates our commitment to ensuring that we provide you with the best dental care, treatment and services. They also keep us fully updated on any new and important legislative changes and the latest dental techniques. Following your initial dental assessment, you will know exactly how much your regular payments will be. You will pay by monthly direct debit and there is also a one-off, initial registration fee equivalent to one month’s payment. The Denplan Care programme is designed to give the reassurance of long term support. However, if you wish, you can cancel your agreement at any time by giving 21 days notice by telephone or in writing to your dentist and to Denplan. Denplan are an appointed representative of Simplyhealth Access and the insurance is underwritten by Simplyhealth Access. All this helps us continually give you the best possible dental care and service. A. Dental payment plans are designed to be used positively to support a preventive approach to your oral healthcare through regular check-ups, dental care and advice to help stop possible expensive or complex dental treatment. Denplan Care not only provides you with help to pay for your routine (check-ups, x-rays and hygiene visits) dental care but for any restorative treatment you may need such as crowns, bridges or fillings. Denplan Essentials pays for all your routine dental treatment which is so important to help ensure you keep teeth and gums healthy. Q. How is my fee calculated? A. You will pay your fee monthly by direct debit. Q. Where does my payment go? Q. What exactly do I receive? A. In return for your monthly payment you are entitled to regular examinations and consultations, ongoing dental advice and a personal preventive programme including all the routine dental treatment needed to help you maintain a healthy smile. You also have access to Denplan’s 24-Hour Dental Emergency Helpline and dental injury and dental emergency cover. Full details of the benefits and exclusions, terms and conditions of your dental payment plan can be found in the Denplan Handbook.